guess where I am. It’s unbelievable. 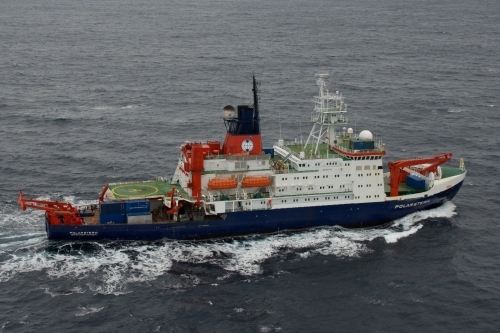 I’m on bord the research vessel POLARSTERN – the famous icebreaker. We started in Capetown and are heading right away to Antarctica. I think this is definitely the adventure of my life. I travel with 49 scientist from 12 countries who are going to explore the antarctic winter. Hope, I won’t get a cold. But everything is fine at the moment. The captain and his crew are fantastic – today I went to the bridge. The first days I joined the chief scientist Peter Lemke from Alfred-Wegener-Institut. He is a real professor and an internationally well known climate scientist. He is quiet smart and I helped him with his station plans. Will send a letter with a new photo soon.